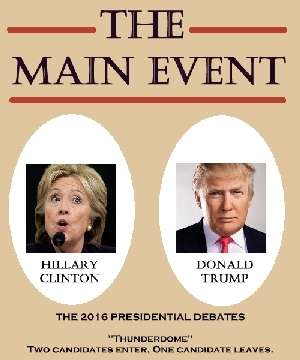 THE MAIN EVENT: THE TRUMP/CLINTON DEBATES « THE BRYCE IS RIGHT! This entry was posted on June 22, 2016 at 8:00 am	and is filed under Politics. Tagged: CLINTON, debates, Florida, palm harbor, Politics, The Bryce is Right, tim bryce, trump. You can follow any responses to this entry through the RSS 2.0 feed. You can leave a response, or trackback from your own site. Good one Timâ¦we are linking to ya, Thanks!